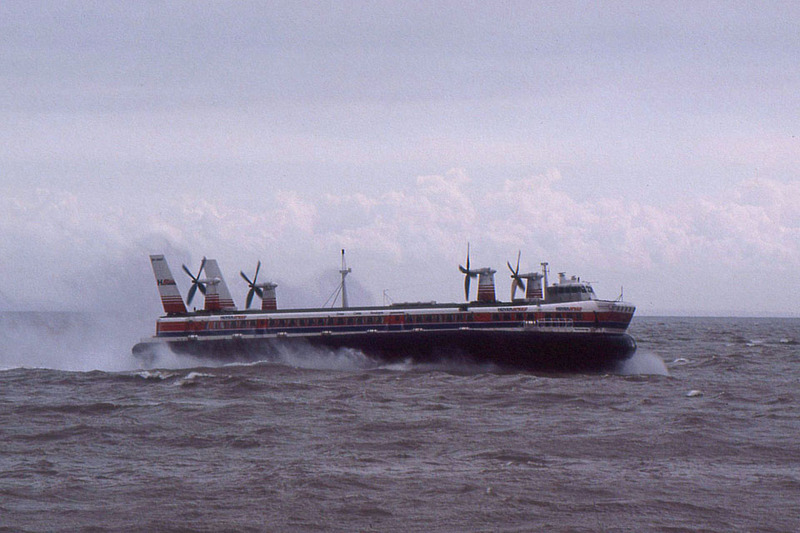 Propellers: 4 Hawker Siddeley Dynamics 4 blade variable-pitch propellers with a 19 ft diameter (5.79m). 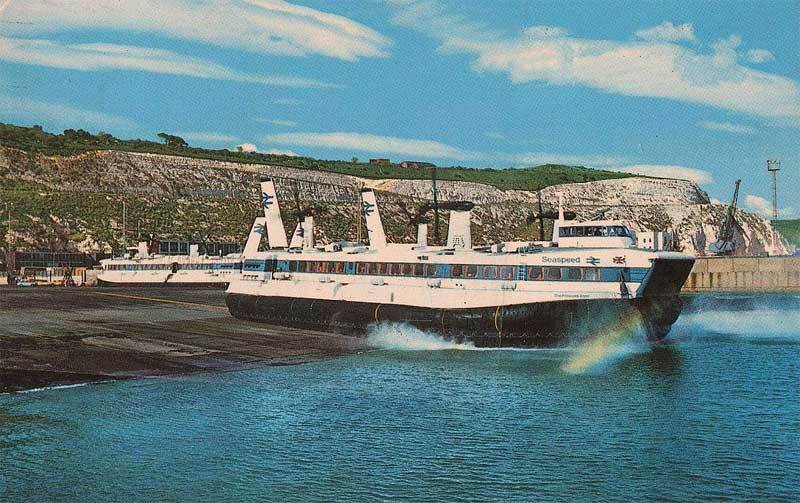 1969: Delivered to Seaspeed, Dover, England. 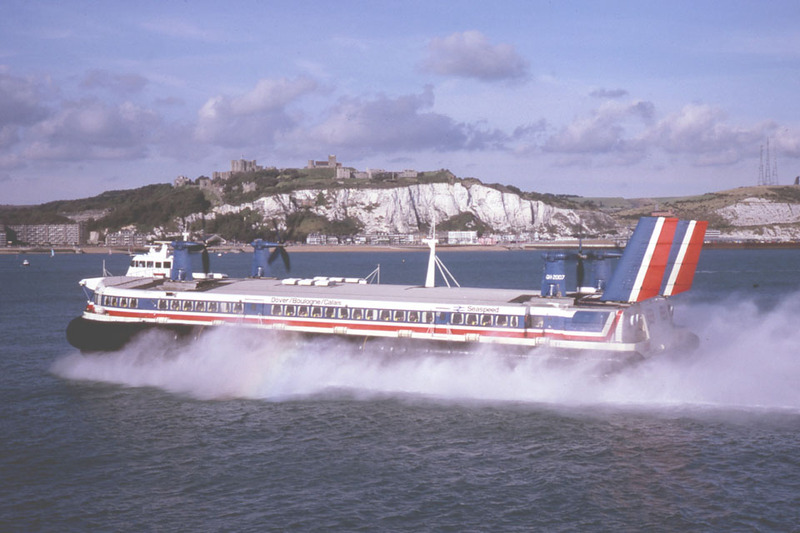 August 8th 1969: Introduced into service between Dover – Boulogne. 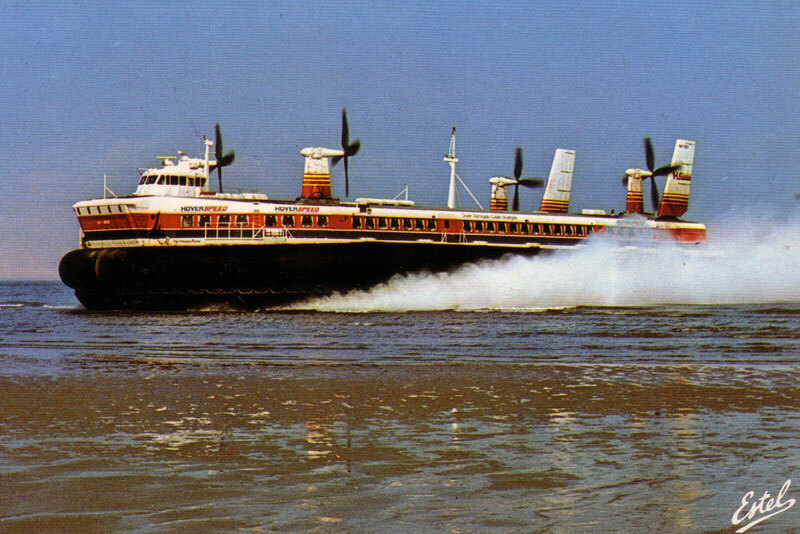 October 21st 1969: Christened PRINCESS ANNE. 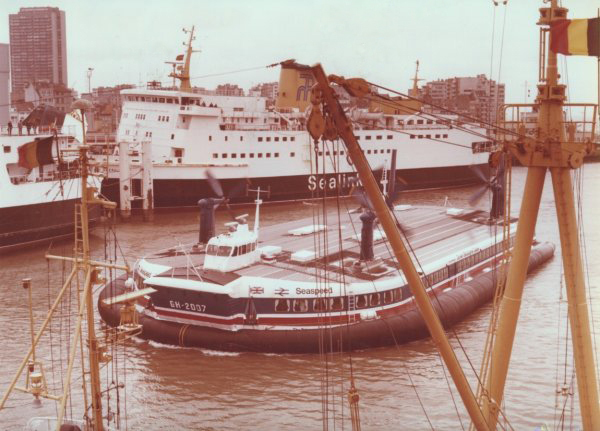 December 24th 1971: Made a special trip to the Varne light vessel, with Christmas gifts, in special recognition of weather reports given to Seaspeed craft. 1976: Government approval for the stretching of PRINCESS MARGARET and PRINCESS ANNE. February 21st 1977: Arrived at builders yard to be stretched. April 6th 1978: Re-launched after stretching. Now designated as an SRN ‘Super’ 4. 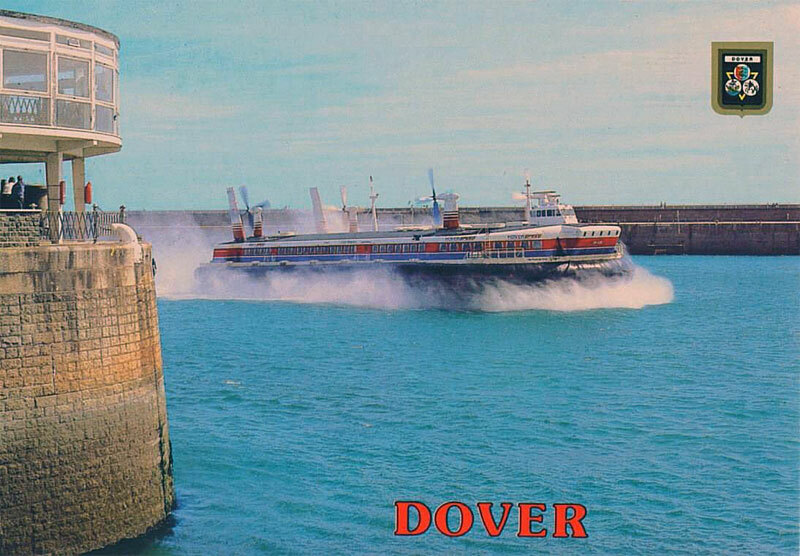 April 26th 1978: Arrives at Dover. 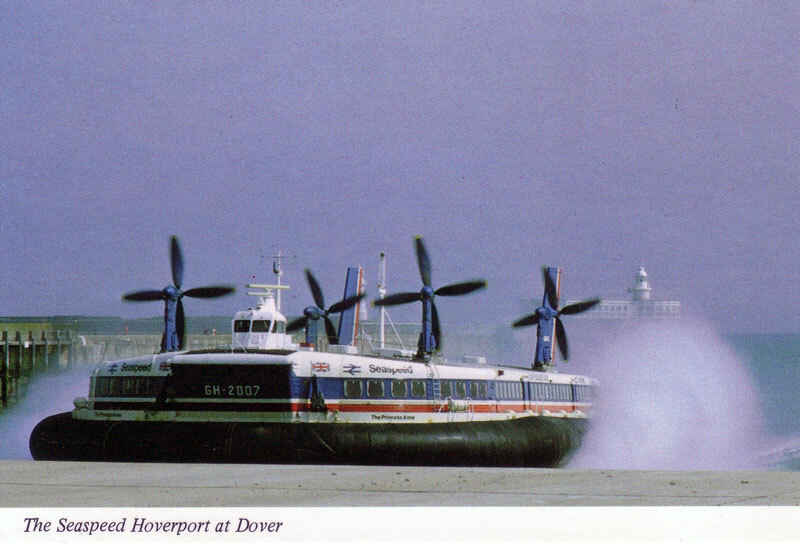 July 5th 1978: New Dover Hoverport opened. 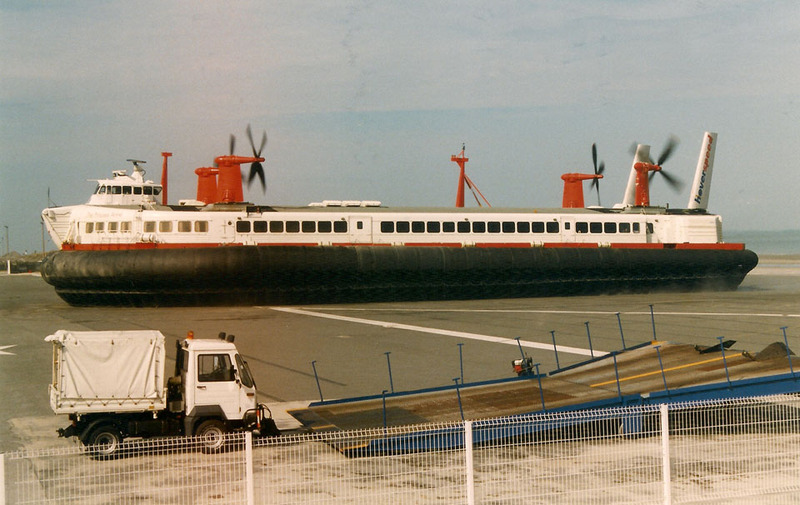 September 15th 1978: Hit by huge waves off the French coast and beached at Wissant. She lost 130 metres of her skirt. 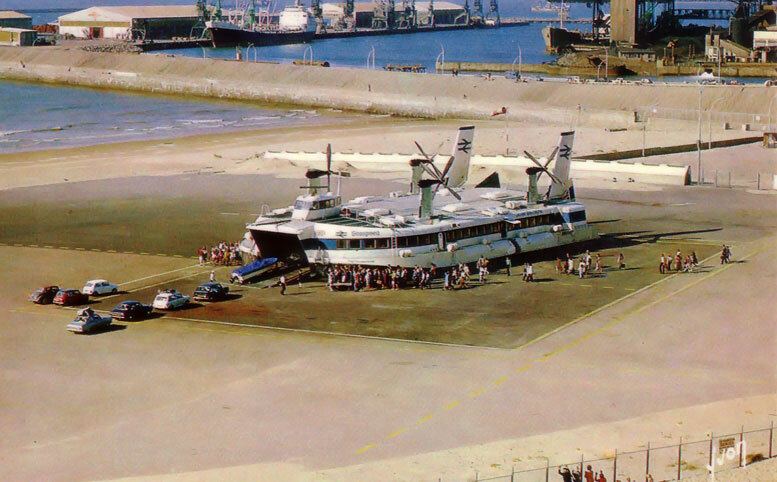 October 23rd 1978: Duke of Kent officially opens the new Dover Hoverport. February 23rd 1981: Returns from refit. 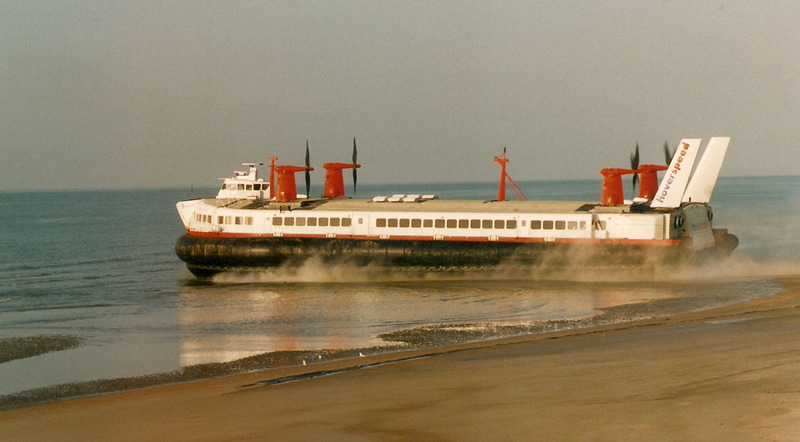 1981: Authorised merger between Hoverlloyd and Seaspeed. 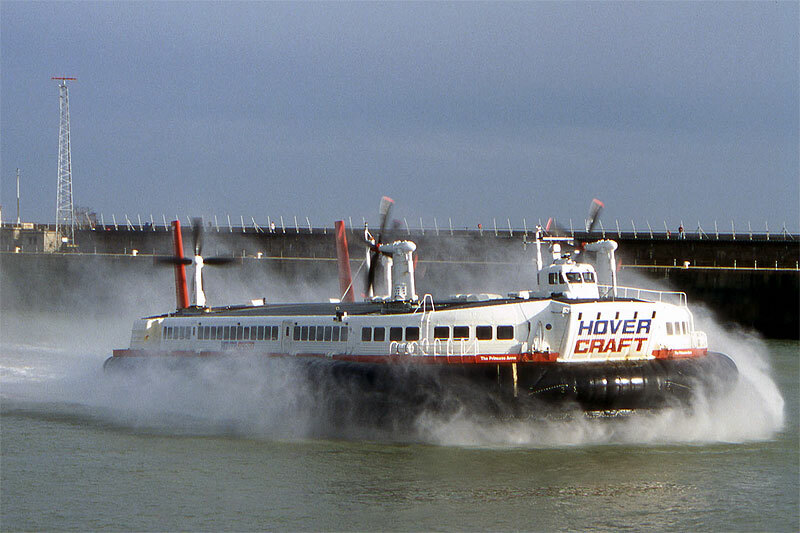 October 25th 1981: Hoverspeed is launched. 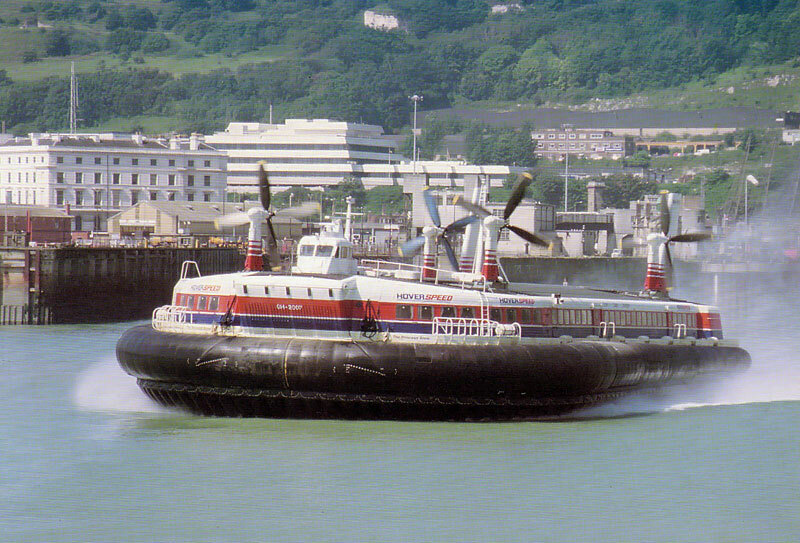 Registered to Hoverspeed Ltd., Dover. 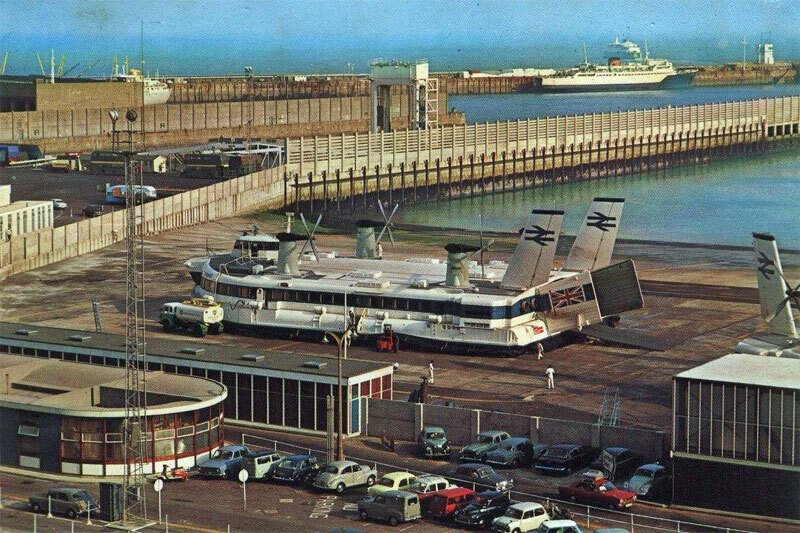 Operated between Dover – Calais/ Boulogne. 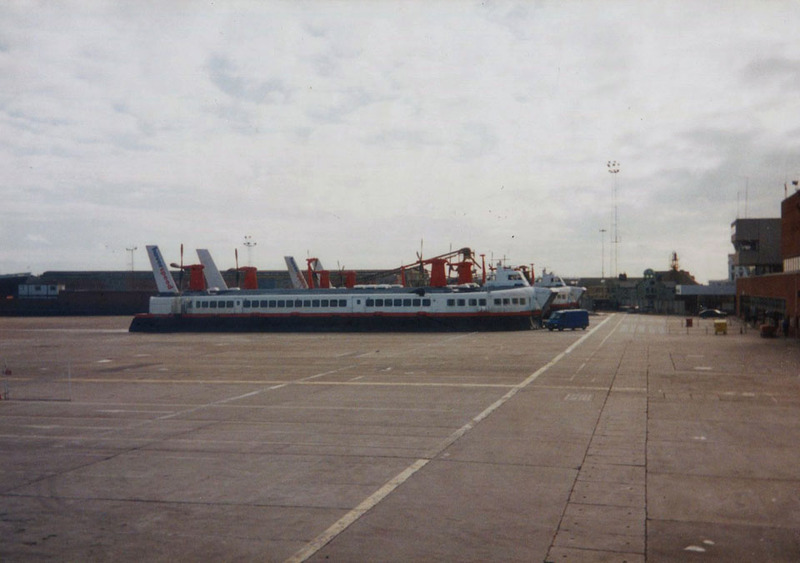 1993: After further refurbishment enters service for the “Summer Season”. 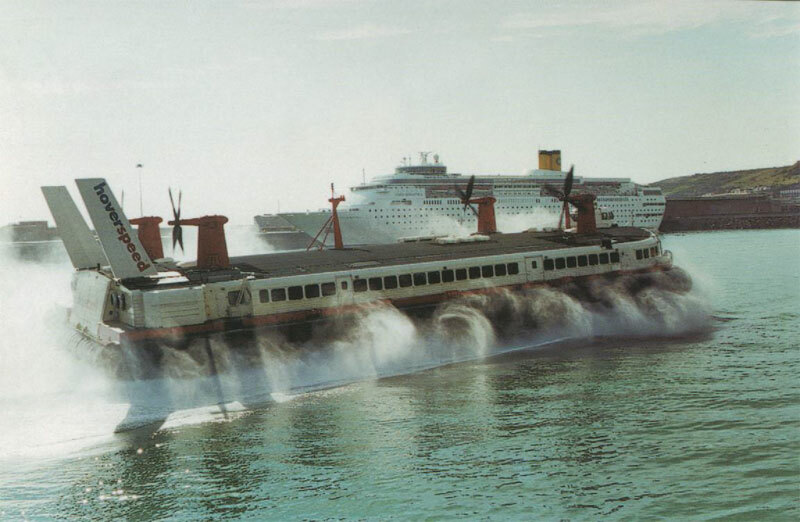 September 14th 1995: Gained the record for crossing the English Channel (Previously held by SWIFT) in 22 minutes. Ray Goodfellow Collection from the Hovercraft Museum Trust. 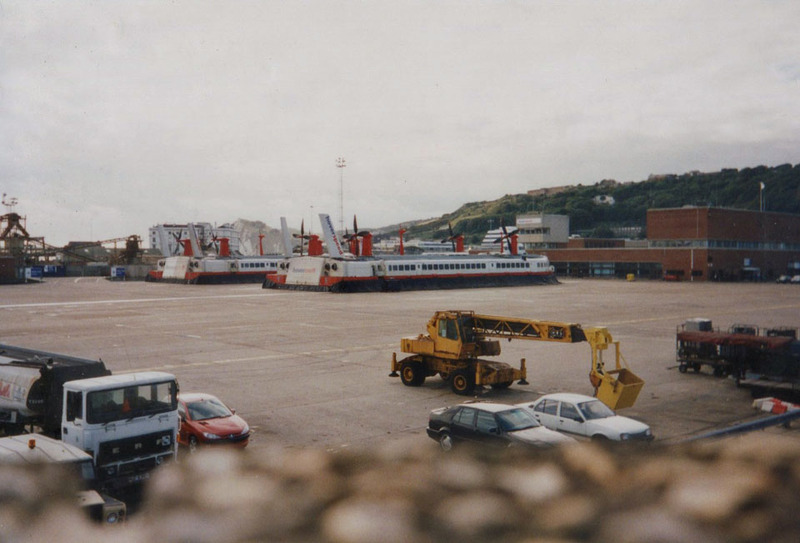 October 1st 2000: Together with her sister, PRINCESS MARGARET, made their final flights from Calais and were retired from service to be replaced by Seacat’s and Superseacat’s. 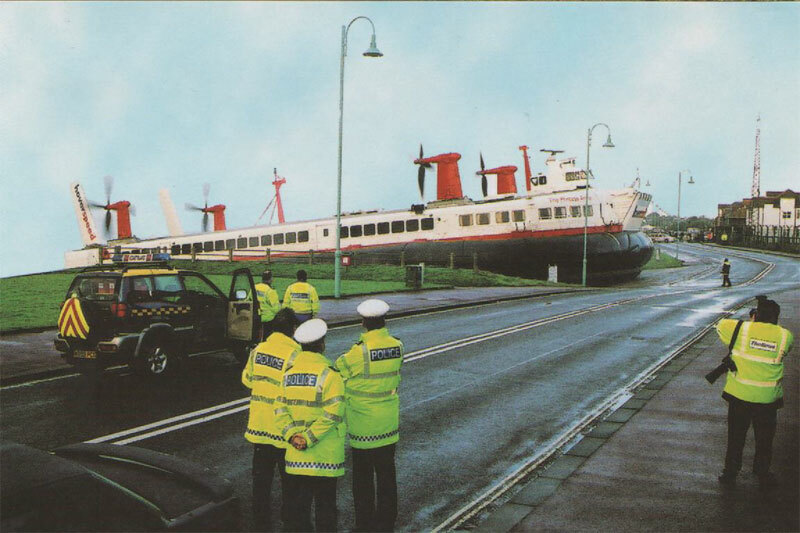 October 2000: Laid up in the Hovercraft Museum at HMS Daedalus, Lee on Solent, Hampshire. 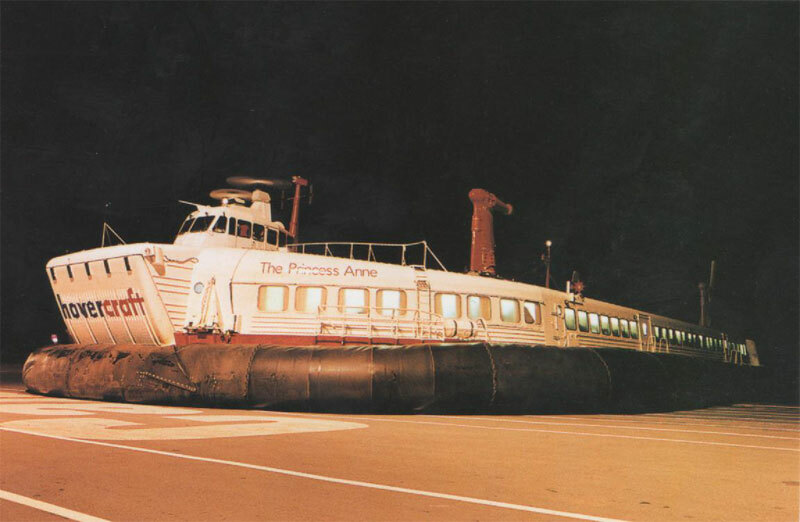 2005: Rumours flew around that the two SR-N4 hovercraft PRINCESS MARGARET and PRINCESS ANNE were reported sold. 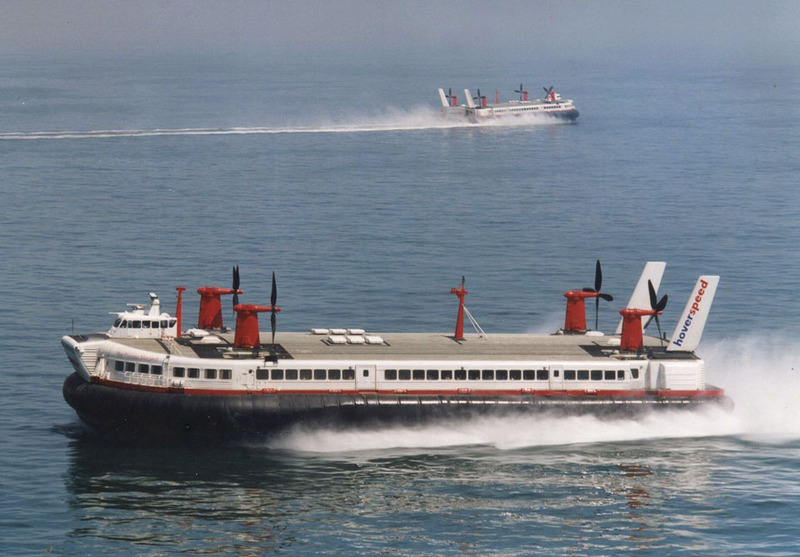 Though the new owners were not officially identified online gossip suggested the craft may have been sold possibly as a source of engine parts for the gas-turbine powered heritage vessel BRAVE CHALLENGER. 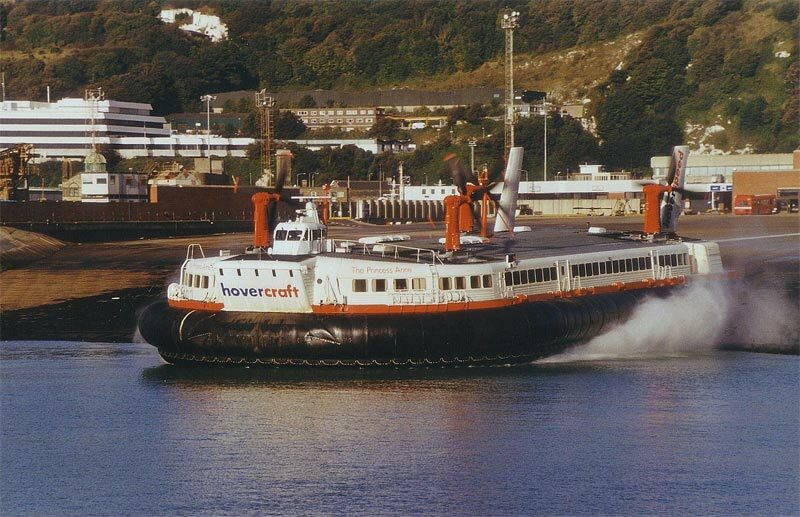 This vessel was built as a private yacht for Stavros Niarchos based on the Vosper Thornycroft Brave Class MTB’s. 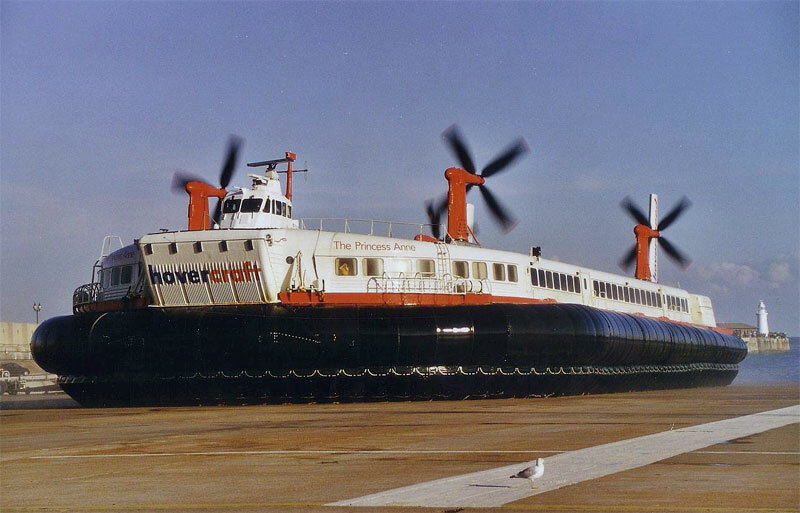 It requires Proteus engines as fitted to the hovercraft and can operate at speeds up to 60 knots. 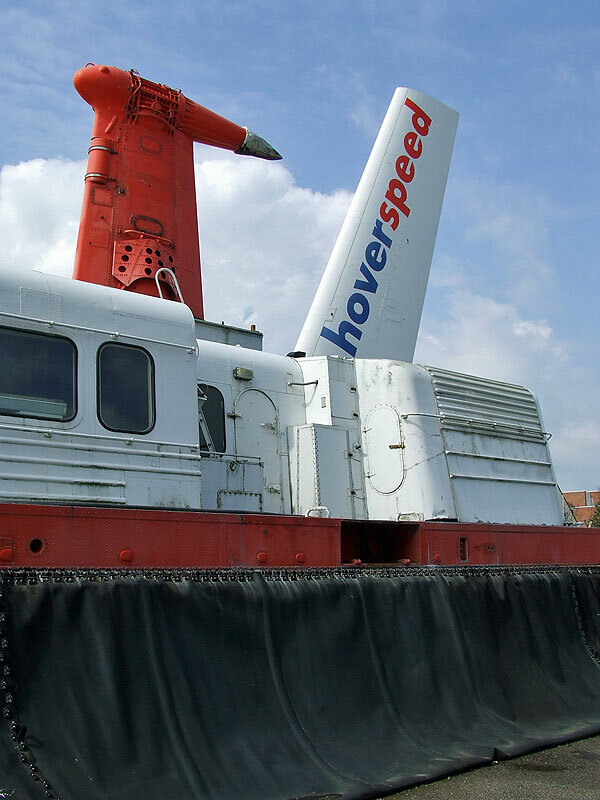 November 7th 2005: All Hoverspeed operations ceased. 2006: The SR.N4 craft remain in storage at the former HMS DAEDALUS – for sale, and their future is still uncertain. 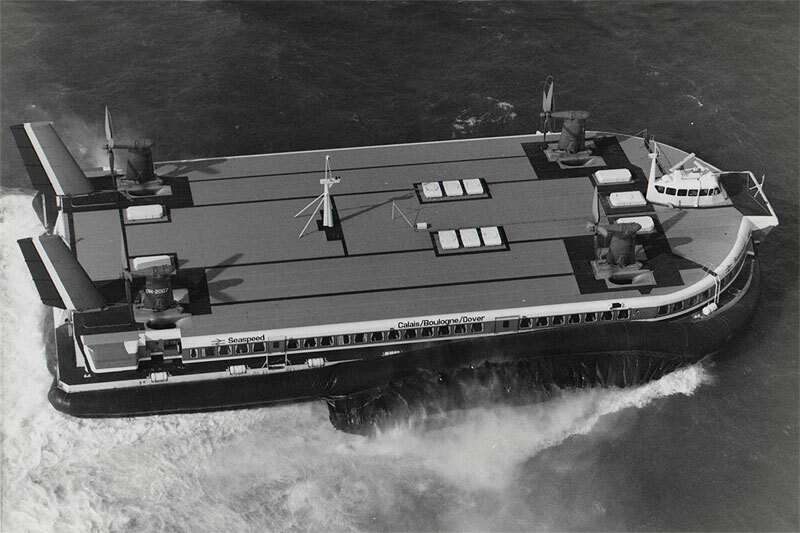 Currently the Princess Margaret is complete with her propellers in place unlike her sister The Princess Anne. Both craft externally at least are in a very sad state. 2007: Remains laid up at the hovercraft museum, Lee on Solent, Hampshire. 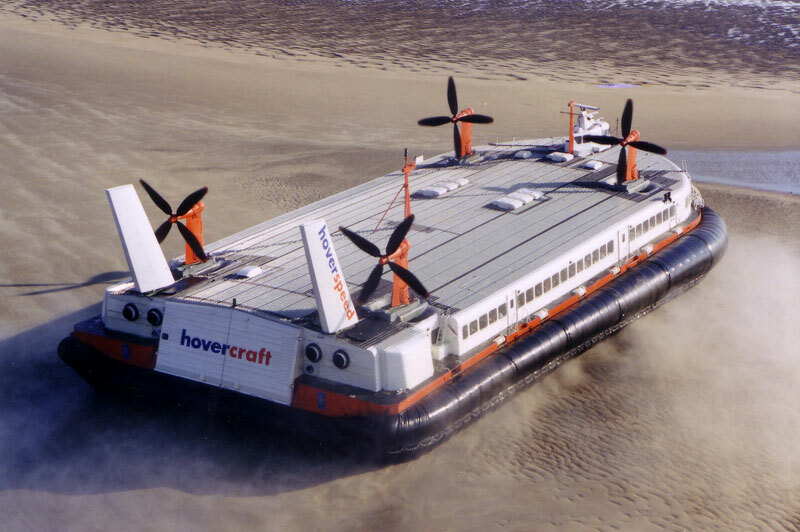 LEE-ON-SOLENT MUSEUM FIGHTS TO PREVENT THE LOSS OF THE CROSS-CHANNEL HOVERCRAFT. 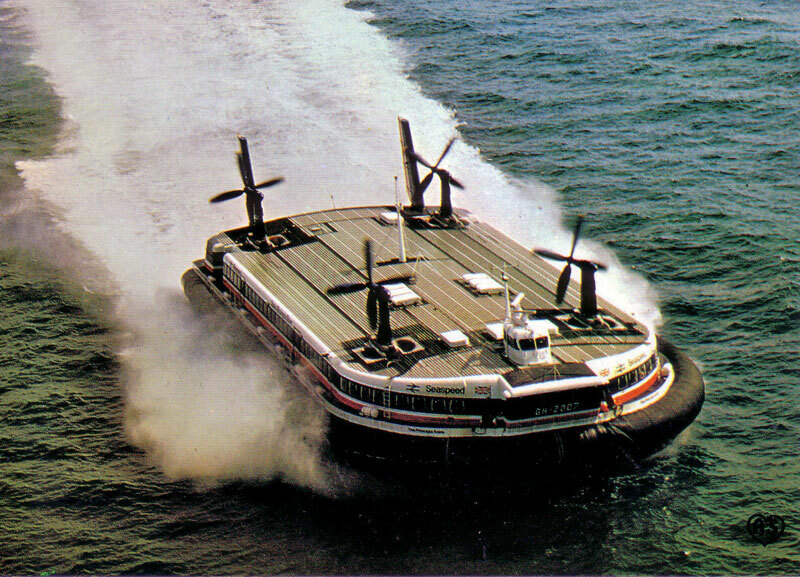 As developers move in with bulldozers, the Hovercraft Museum Trust is this evening fighting desperately to save one of the two remaining cross channel SRN4 hovercraft from destruction. Resident at the site since they were decommissioned in 2000, the Princess Margaret and Princess Anne are the last of the 250 ton monsters that used to cross the channel with 400 passengers and 55 cars on board, their Gas turbine engines making the crossing possible inside half an hour in good conditions. 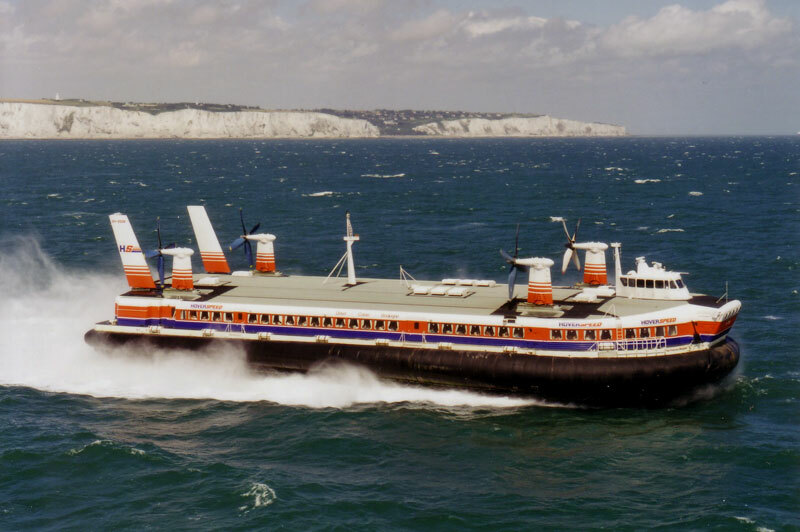 They were built on the Isle of Wight by the British Hovercraft Corporation in the 1970s and operated from both Dover and Pegwell Bay before being replaced in 2000 by catamaran service. 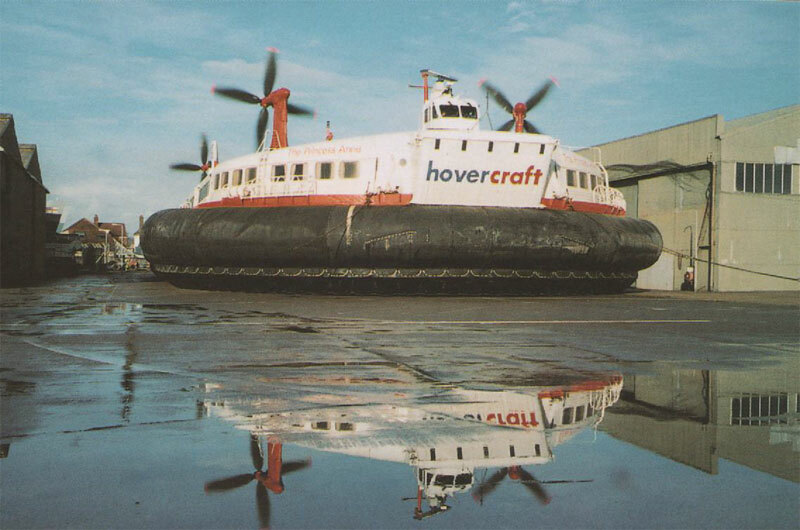 Due to essential building work on the hovercraft museum buildings at Lee-on-the-Solent, the hovercraft museum has not been open to visitors for nearly two years and only reopened three weeks ago – it’s been a difficult period. But since then, visitor numbers have been encouraging and the future was looking promising for this small volunteer run museum. 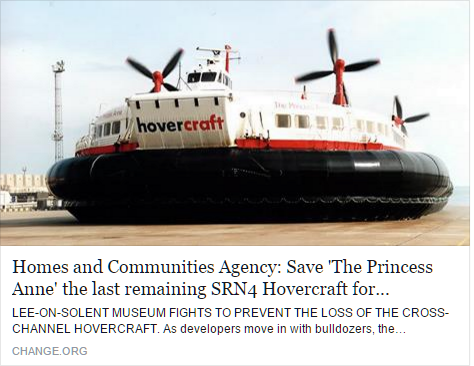 Whilst being stored at the museum, the SRN4’s are not owned by the Hovercraft Museum Trust and there has been a protracted legal battle between the craft and site owners which these gentle giants have found themselves caught in the middle of. 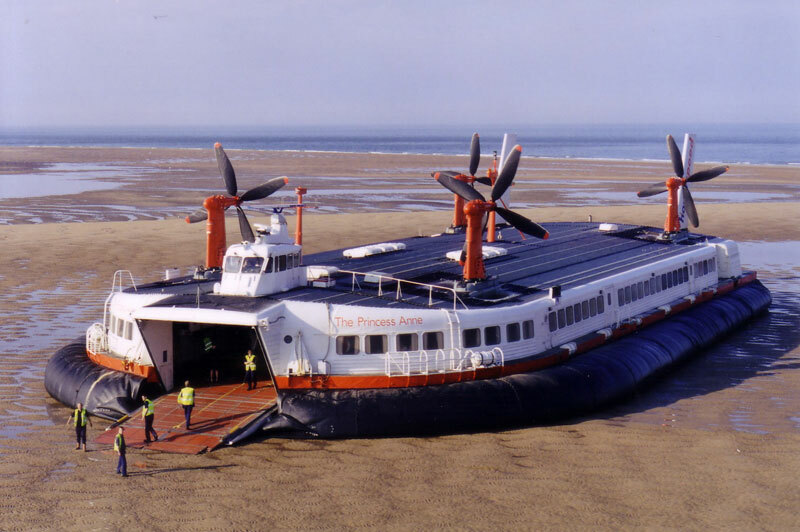 This came to a sudden resolution this week and the hovercraft now face destruction and removal unless a last-minute reprieve is granted by the site owner. 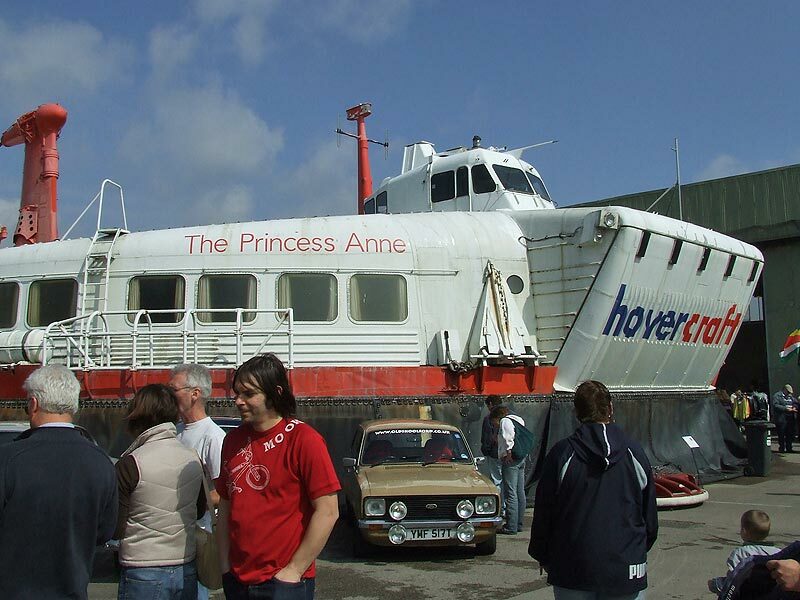 The museum has acted quickly and submitted a proposal to the site owner to save the Princess Anne which is in the most favourable location and in better condition than the Princess Margaret, which they have reluctantly accepted is likely to be broken up and sold for scrap. 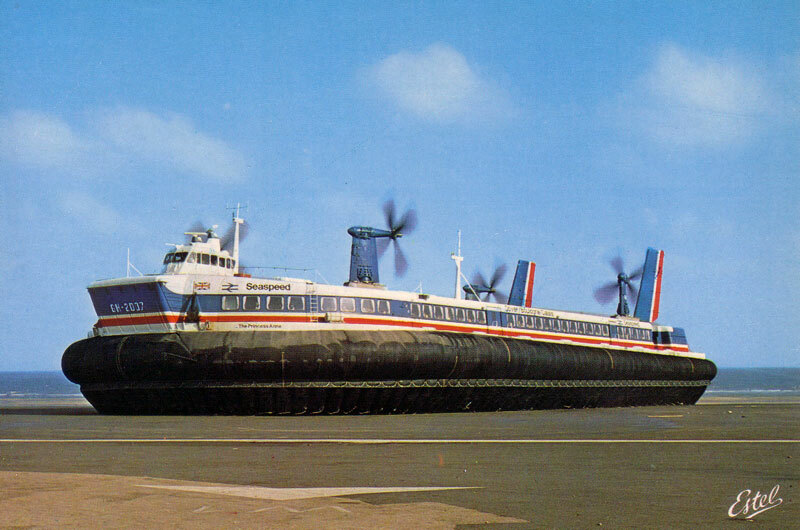 The trustees have set up a petition page, the link to which can be found on their Facebook page ‘the Hovercraft Museum’ and they are encouraging those with an interest in British history to sign and share it. All information is believed to be correct and no responsibility is accepted for any errors or omissions found. All items included in this article are subject to © copyright. 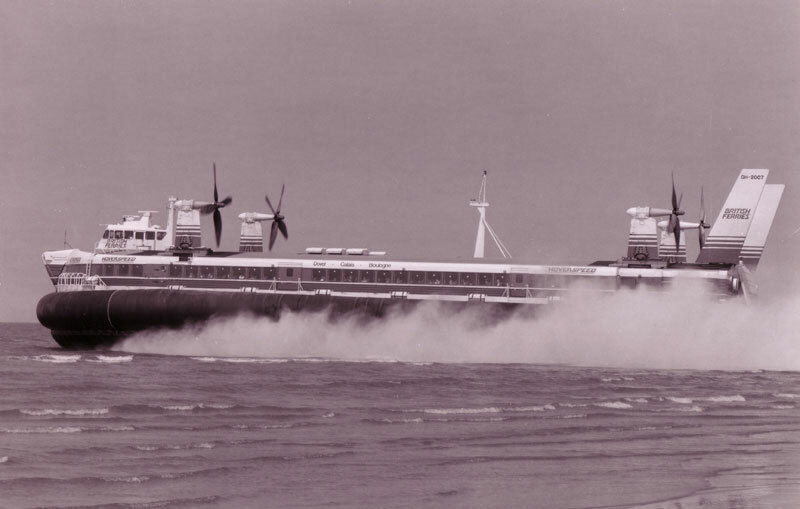 We would like to take this opportunity of thanking: Chris Howell, Ted Ingham, Ken Larwood, Stephane Poulain, Arne Pyson and and the Hovercraft Museum Trust for their assistance in compiling this feature. No mention of her holding the record for fastest ever crossing by a passenger carrying ferry in September 1995? And it’s GH-2007 not 2001. Cor! Once again proves someone actually reads these histories!!! Thanks for pointing out and page will be amended. 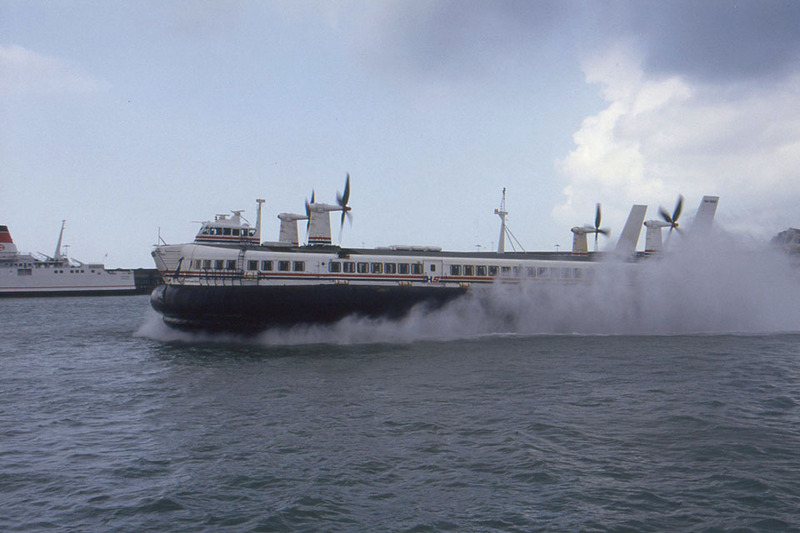 Note that the Princess Anne has now been saved for the nation and is currently being restored. (See the museum website for further info).